Back in 2013 I was looking for the best foods to eat for better joint health, and I stumbled over Selenium. I really didn’t know too much about this mineral but I did work out I should start eating Brazil Nuts. I left it at that and went on my marry way. I didn’t go beyond my joint health so I missed out on understanding what else this mineral does in our bodies and all the wonderful food sources. So, I went looking for more about Selenium and want to take you with me. Here we go. Selenium is a trace mineral found naturally in soil and in certain foods and there are even small amounts in water. For us, Selenium plays an important role in our bodies by increasing immunity – less colds and flu, takes part in antioxidant activity that defends against free radical damage and inflammation, and plays a key role in maintaining a healthy metabolism. 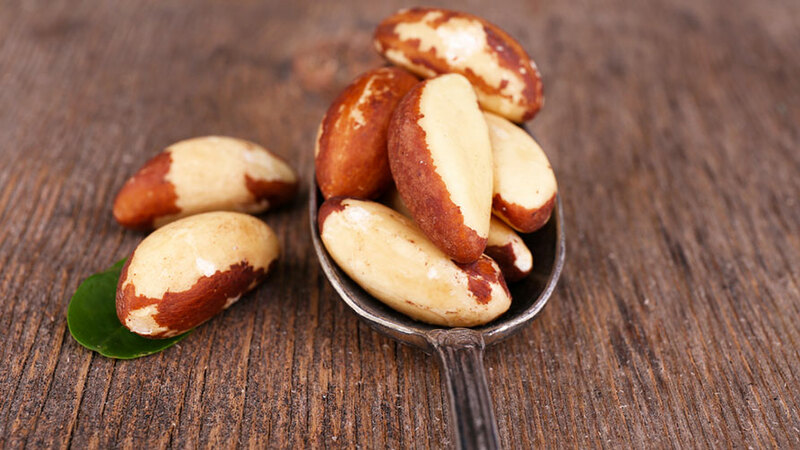 According to studies, consuming plenty of naturally occurring selenium has positive antiviral effects, is essential for successful male and female fertility and reproduction, and also reduces the risk of cancer, autoimmune and thyroid diseases. Wow that’s a lot for a mineral we don’t pay too much attention to. Fatigue There are many causes for fatigue, Selenium can be a cause and is normally not looked at as the cause. So, if your iron and potassium levels are normal, check your selenium as a possible cause. Brain Fog and Poor Concentration There are many causes of brain fog – Gluten, Sugar, low potassium, low magnesium and it seems low levels Selenium can also be a root cause. Reproductive Issues – Men and Women Low levels of Selenium can impact a woman’s cycle and men’s sperm production. Checking your Selenium levels is place to look when you have exhausted all other possible causes. You have some easy choices to make here, eat a balanced diet and ensure to include #REAL #FOOD that contains Selenium or you can add a supplement. My personal view on this is to just eat the real food. Eating the food sources also enables your body to get all the other wonderful nutrients that food has to offer. However, if you are feeling like you want to boost your intake a supplement can help. I would suggest you speak with your health care professional to be sure it is safe for you. Try eating a few per day as a snack or adding them to your smoothies or look for Almond/Cashew/Brazil Nut Nut Butter – nick named ABC butter. I have a great recipe for Sunflower Seed Falafel and a dip made with Sunflowers. I have recently started to eat Sunflower Butter and I add a table spoon to my smoothies or spread it on toast. I wish I had a recipe to support this, but you could try Pate using lovely herbs to help add extra flavor. Roasted Turkey – best source is the dark meat. So good sautéed and served with eggs. Or as a risotto or soup. Shiitake and white button mushrooms are best. Brown Rice 1 cup contains 19 mcg, 35% of DV Replace white rice full stop and add in brown rice. I think you would agree, there are so many #REAL #FOOD options to help you maintain your selenium levels in your diet. Unless your health care professional thinks otherwise, dig into some lovely fresh food. I have also included a recipe for you to try, Sunflower Seed Falafel. I hope you enjoy it.